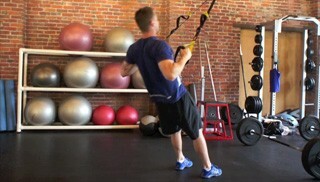 Complete a set of bench press and then move right into the TRX body row before taking a rest. Complete a total of 4 rounds. 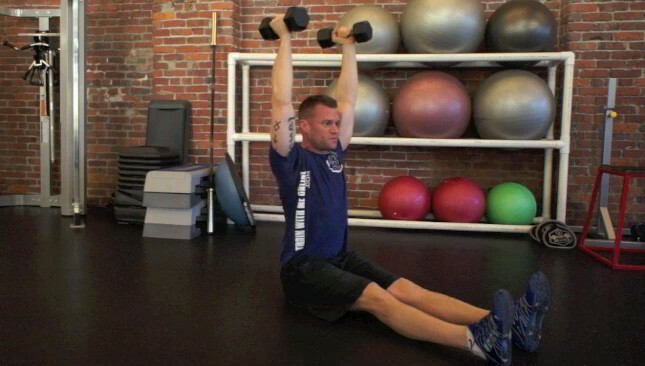 Perform each exercise in this circuit one after another taking 15-30 rest between each. Do this entire circuit 3 times before moving on. The single arm bent over row targets the mid back and is a great beginner strength exercise.